Many people on campus eat in the student cafeteria areas because the food is fresh,varied and inexpensive. There're varieties of Thai-Style foods, vegetarian and halal dishes and drink are availible at the very low cost of ฿20-฿25 .The canteen areas are open Monday - Friday,6 a.m. to 7 p.m.; some stalls are open on Saturday and all are closed on Sunday. 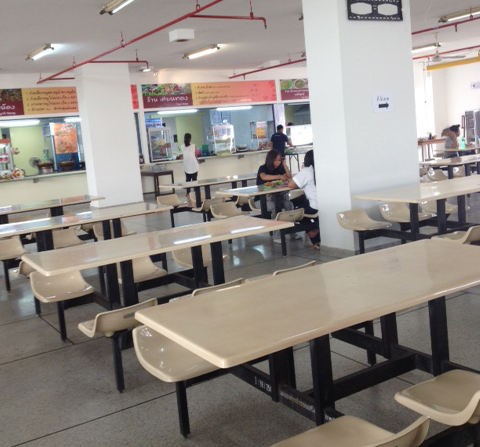 As well, many students eat in the Tha Prachan market area,next to the main campus. 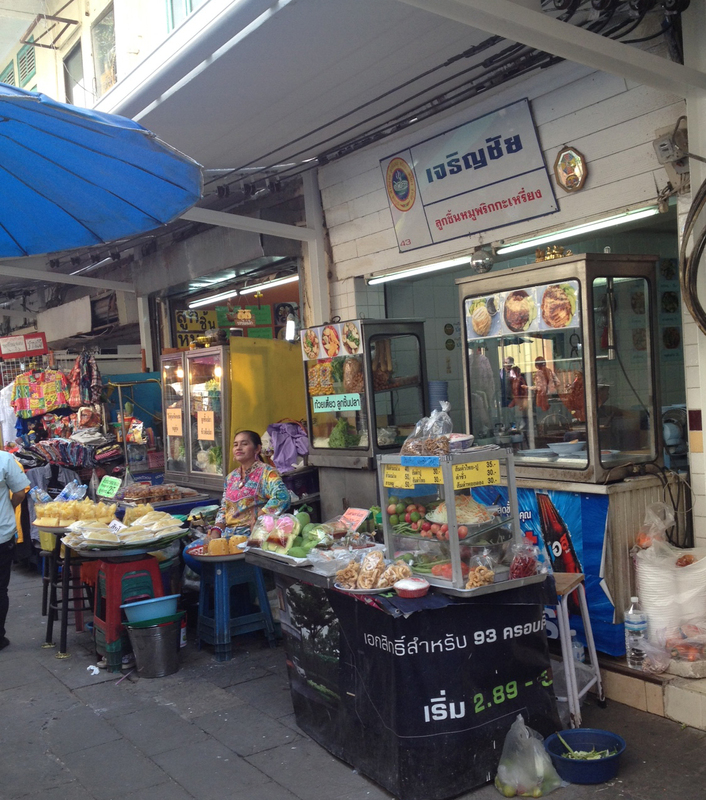 Here there many fast food street stalls and restarants which range from Thai- style specialities to kentucky Fried chicken to breakfast sweets.Look for places the students frequent, or those recommended to you; some will have an English menu but it is wise to carry a phrasebook. - Enjoy looking but avoid indiscriminate samping from street stalls and markets. - Eat only freshly prepared cooked food served hot. If the soup broth is boiling you can assume it is safe. - Avoid raw meats and seafood and dishes made with these ingredients.Generally these are from northern. - Always drink bottled water,which is sold every where.